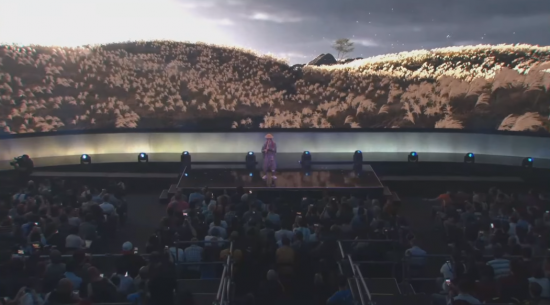 Sony’s event was all over the place. Rather than a single media briefing on a stage, it felt like they were flitting between locations and filling time to get their next presentation ready by using a panel of talking heads. Going into this one, Sony had said they would focus on the four big “pillar exclusives” that would be coming out while also talking about some other games along the way. While I might primarily play my games on Xbox, Sony definitely have the stronger catalogue of games. I might only own a PS4 for their exclusives, but at this point, owning the console for two or three incredibly good games a year is well worth it based on the quality they are of. I imagine they’ll start off strong, so let’s dig in. This was weird. The show opens in this pretty small, church-like setting. It was a nice space, full of hanging lights and a pretty small stage. Even the audience were all standing. Then we see a man in a black hoodie sat alone playing the banjo. It reminded me of some of the weirder gigs I went to while at University. Then the trailer actually starts, and we see the older Ellie at some barn dance. And where it takes place looks exactly like the area the press conference is taking place in. It’s a cool reveal that probably worked really well if you were attending the thing live. 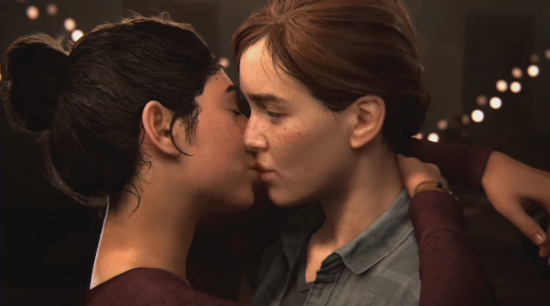 From here we get some story in which Ellie is basically Ellen Page before cutting to some gameplay? I’m not 100% sure because what we see on display here is amazing to behold. 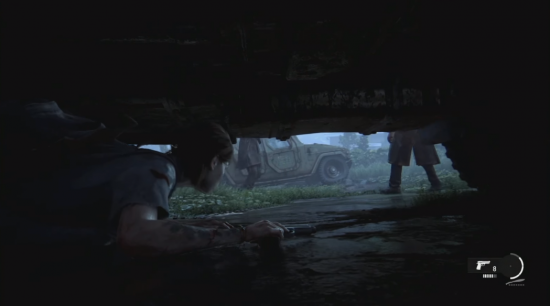 I don’t remember the first Last of Us as much as I probably should, but the way Naughty Dog integrate cinematic moments with the gameplay itself is crazy. When the gameplay first started for this, I couldn’t help but draw mental comparisons between this and the Tomb Raider gameplay shown at the Square Enix show. But as it continued, I realised that there much more at play here. While this segment is probably a very linear section of gameplay, how its woven into the parts in which the player has control feels so seamless I almost don’t believe it’s real. There is this weight and brutality to everything that’s going on. Combat feels like it comes with a cost and unlike Tomb Raider, in which Lara feels like a mass murder machine, Ellie seems to suffer for the encounters she’s in. To the point there an arrow sticks from her shoulder for a decent junk of time before she physically pulls it out. This game already looks like its going to be utterly amazing. I can’t wait to play it. Probably not the first time I’ve said this, but video games look damn good right now. This new IP out of Sony looks so good that I almost can’t believe it’s running on a console. It begins in a muddied, war torn battlefield. The wind flows through the grass almost making it look like water. A lone Samurai mounts his horse and makes his way through the scene. As the scene transitions, the trailer continues to impress. Birds fly past the screen, a light mist clings to the ground. 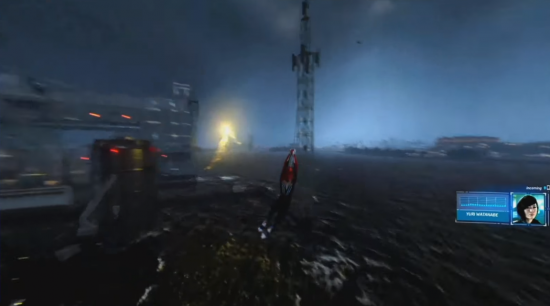 Then as the player ascents a mountain trail, red leaves swirl around them for the rest of the trailer. And this is all gameplay! This trailer is so damn stylish. The combat is the same, the way the camera pans around action and lingers in cinematic shots, it’s obvious where this game’s inspirations lie. I am incredibly interested in this game, can’t wait to see more. You should watch the trailer. As soon as this trailer started, I was flooded with thoughts of this looking like a game that screamed like it was developed by Remedy. Well, this is the new game from Remedy. 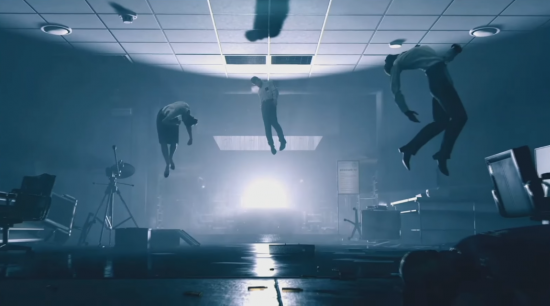 The trailer is brief and acts more to be impactful than informative, showing bizarre visuals and gameplay that was very reminiscent of their last game; Quantum Break. Like that game, combat seems to be a combination of third person shooting and use of super powers, in this case, powerful telekinesis. It’s certainly memorable, with visuals reminiscent of their previous games in which the environment shifts and impossible shifting of the environment. The fact that it’s a Remedy game is just the icing that’ll end up with me getting this. It’s only a brief snippet here, but was the main game not of the big four that stuck out to me. 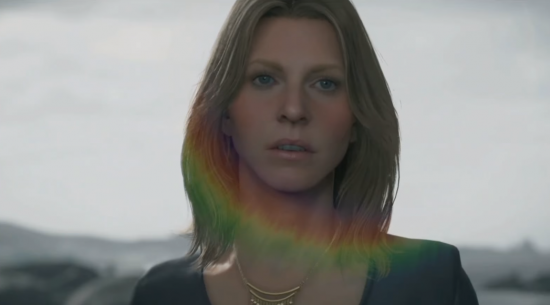 For a while, Death Stranding was just a series of short films from a lunatic’s mind. A collection of images and sequences designed to look slick and stylish, but not actually make a bit of sense in the slightest. 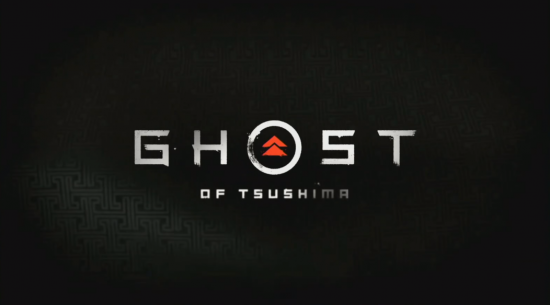 This E3, Hideo Kojima did somthing none of us could have expected; he showed us gameplay. What’s worrisome is that this was also the least interesting showing of Death Stranding I’ve seen so far. Maybe because it’s actually starting to look like a video game and not some insane glint in a madman’s eye. 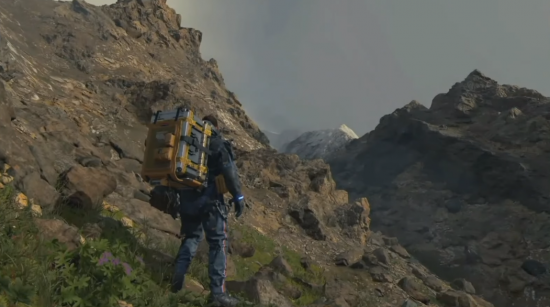 Now we finally seem to be getting an idea of what Death Stranding might be; a postman game. Norman Reedus has “porter” displayed on his clothes and spends a lot of the time in the trailer hauling packages of various shapes and sizes across wide open, expansive environments. Peppered with what seems to be stealth sections, avoiding the strange, invisible creature that seem to want to murder everyone by ageing them into a husk. The trailer ends by introducing a new cast member to the story with Léa Seydoux showing up to end the trailer. At this point I feel like Kojima is recruiting friends rather than people to be in his game. Like he’s slowly building some little club and masquerading it as a game in development. 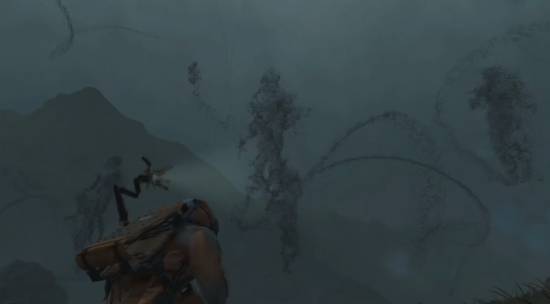 I feel like we’re finally starting to see the shape of what Death Stranding is going to be. And there are a lot of things in common with Phantom Pain. In terms of the open world and the stealth mechanics. It’s special brand of weirdness is going to draw a lot of people in here, and its the primary reason I’m still interested in the game. I’m interested, not not excited to learn more about this, and to find out who the next member of the hanging out with Kojima for Instagram club is. How weird is it that you have these four massive games at your show, and you end with the Spider-Man game. 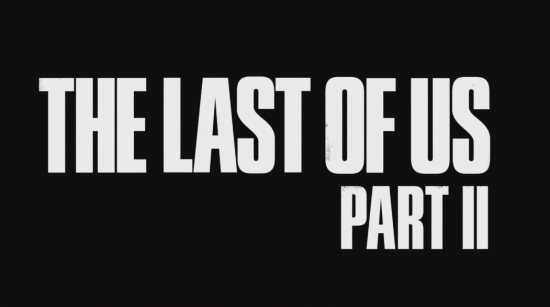 That’s not a dig either, this game already looks fantastic, but it just goes to show how confident Sony are about this game that they’d bookend their show with Last of Us and this. I have all the time in the world for Insomniac Games. They influenced my childhood with their games, starting with Spyro the Dragon, then Ratchet & Clank and then, to a lesser extent, Sunset Overdrive. That last game of which almost seems like a prototype for this one, containing movement mechanics and a sense of humour that would fit a Spider-Man game perfectly. 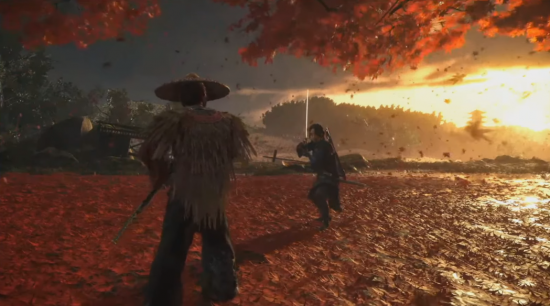 Aside from being, yet one more, visual masterclass coming from Sony, the combat looks fluid and engaging. I could be reductive and say that it looks like it takes influence from the Batman Arkham games, but the movement and abilities on display still makes the game feel unique to the character. Then we get the web-swinging. It’s the main thing people care about when it comes to Spider-Man games and the reason some of the older games are looked back at so fondly. But of course it looks impressive here, as I already said, Sunset Overdrive was a great proof of concept that they could make fluid and fun movement mechanics. 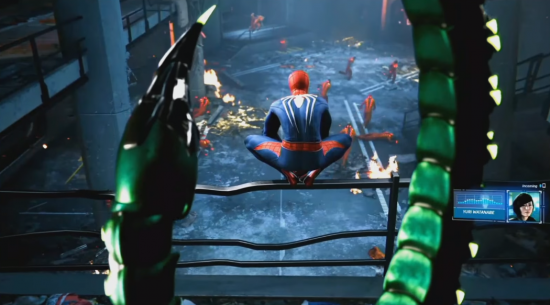 There’s not much else to say, this looks great and the fact that it is a Spider-Man game is just the icing on the cake for me. 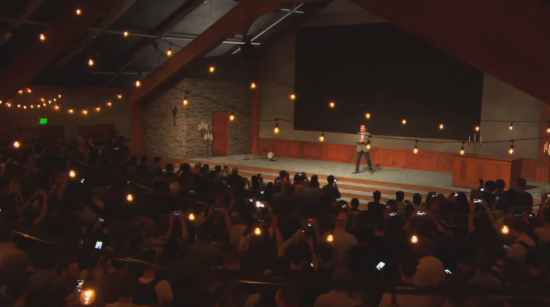 Sony didn’t have the broadest array of games to show at their conference. As I mentioned before, they had the four huge, pillar exclusive games that they’ve focused their efforts on, and all four of them look amazing. Sony most definitely have the strongest exclusive games on show this year and to be honest they didn’t need to show much else. All four games are visually stunning to behold, it’s hard to believe that they’re running on a console. The show itself was a weird one, moving from venue to venue and cutting away to a panel while they set up their next segment, it came across as a series of shows knitted together than a single long one. They did bring an element of showmanship to their event though which surprised me when they probably could have gotten away with just letting the quality of their games speak for themselves. It was the weird pacing that made it feel odd. Sony has the benefit of showing the most game that I am 100% intending to play. They even had the likes of Destiny 2, which I’ve spoken about enough already in recent weeks, and Nioh 2, a game I didn’t didn’t have much to say about beyond the fact that it exists. It was a strong showing from them. They continue to kill it from as video game aspect once again. Posted on June 16, 2018 June 15, 2018 by WooderonPosted in Features and/or Ranting:, Video GamesTagged control, death stranding, ghost of tsushima, hide kojima, insomniac games, kojima productions, naughty dog, norman reedus, remedy games, sinister six, spider-man, the last of us 2.